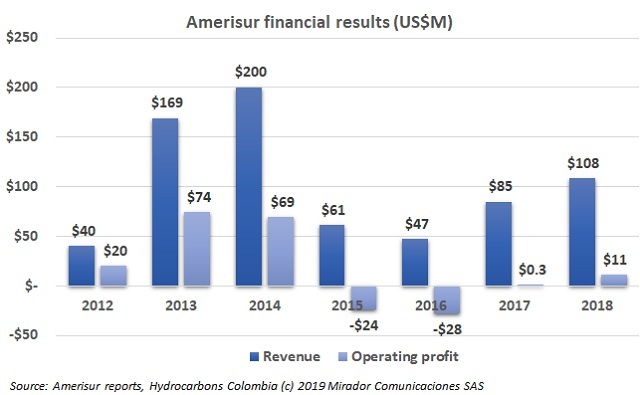 Amerisur Resources Plc announced its results for 2018. The company showed strong financial performance during last year, thanks to oil production increases and the OBA pipeline. Colombia has been discussing the encouragement of the natural gas sector due to its environmental and economic benefits. Astrid Álvarez, President of the Energy Group of Bogotá (GEB) spoke on this topic. 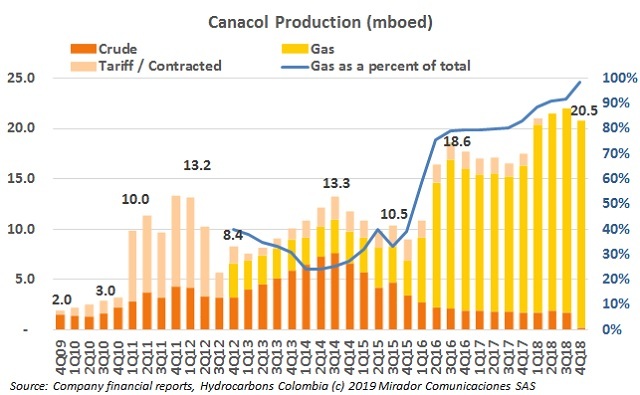 Canacol Energy (TSX: CNE) is betting on the natural gas business, becoming the main private operator of this fuel in Colombia. The company plans to go beyond the production and exploration of natural gas. Charle Gamba, CEO of CNE, spoke about the firm’s plans. 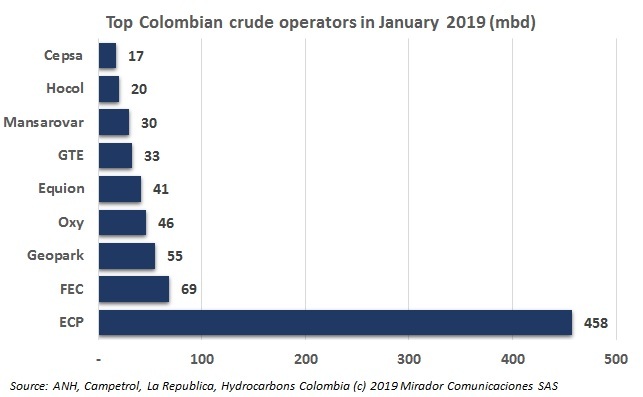 Just a short summary this quarter of our index of publicly-traded Colombia-focused E&P stocks because not much has changed. The oil sector has been making positive and important announcements during this year. Hocol S.A joined this positive news trend with a new natural gas discovery. 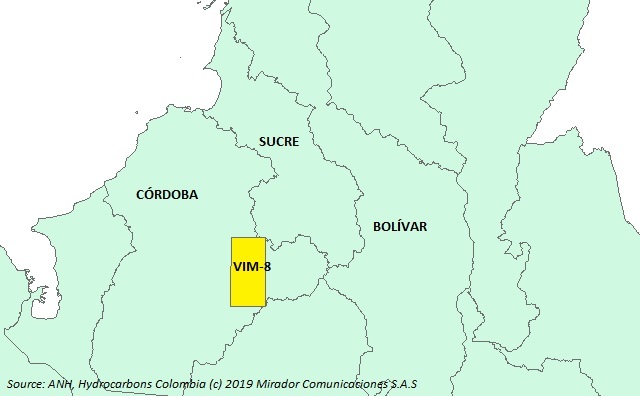 The oil sector continues to announce agreements to encourage the exploration and production of oil and gas in the country, with the Colombian authorities’ support. The National Hydrocarbons Agency (ANH) announced a new agreement between Parex (TSX: PXT) and Ecopetrol (NYSE: EC). Canacol Energy (TSX: CNE) announced its financial and operational results for the three months ended December 30, 2018. Gas production, sales and funds from operations increased. Charle Gamba, CEO of CNE, talked about the company plans for 2019. 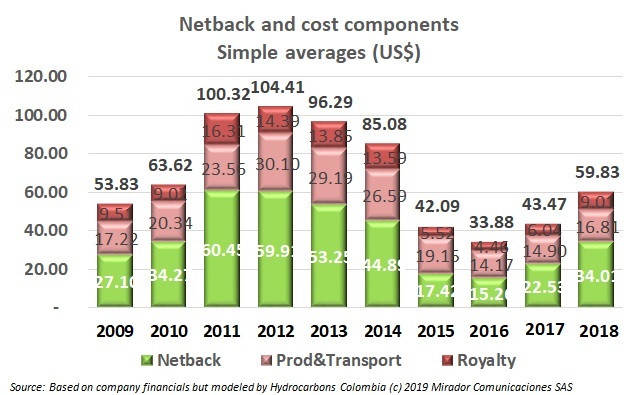 The publicly-traded Colombia-focused E&P companies have reported so we can publish our industry-wide netback estimates. Lower oil prices naturally had a negative impact on 4Q18 netbacks but, overall, 2018 was a good year. The oil sector has had a very hectic start of the year with many news and rumors. 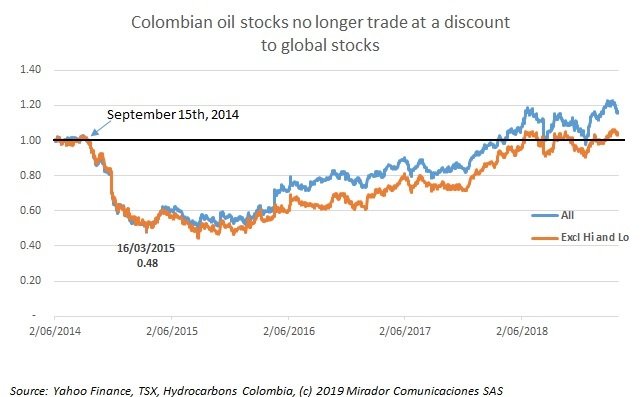 The industry was speculating about the possible sale of several of Frontera Energy’s assets (TSX: FEC) in Colombia. The company spoke on this issue and its plans in the country.